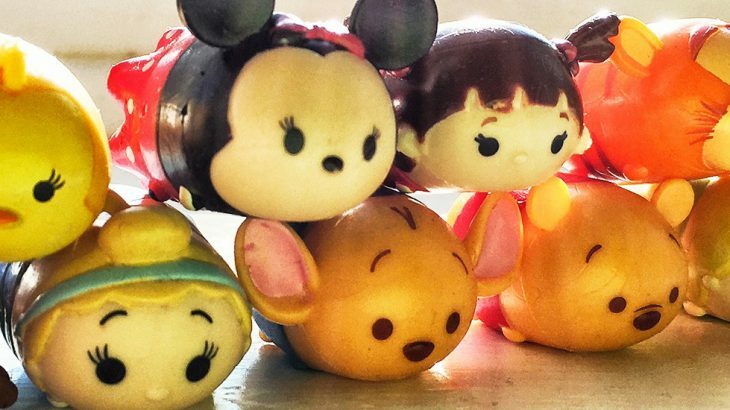 Your favourite characters are now even cuter! 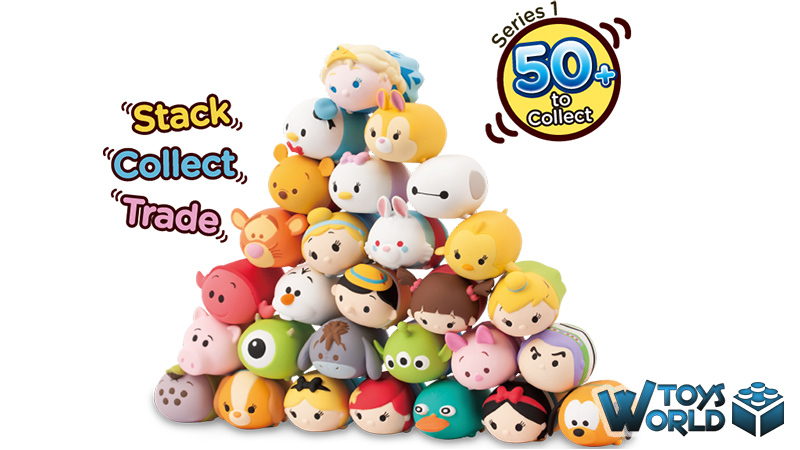 Tsum Tsums are squishable versions of Disney superstars that you’ll love to stack ‘n stack. 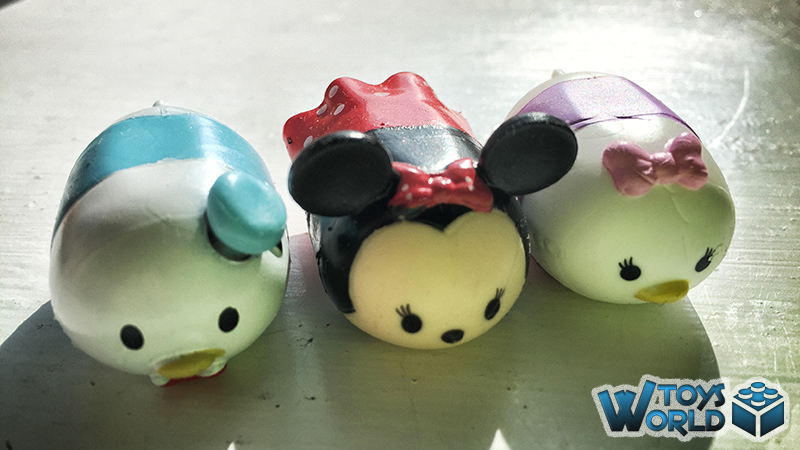 There are 50 to collect, from Mickey Mouse to Toy Story’s Woody. 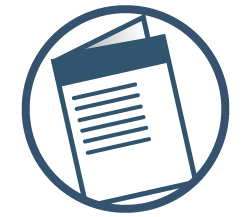 Share ‘n swap with friends and try to find the rarest of them all! 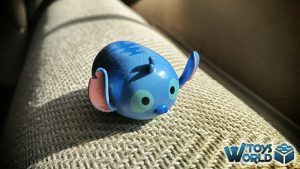 Firstly, it has to be noted that the ToysWorld team are Disneyholics – we lap up everything Disney related with glee, and when we heard about the new Tsum Tsum range, there *may* have been just a little excitement in the office. It’s no secret that the Japanese have a healthy obsession with miniaturisation; after all, they brought us household classics such as the walkman, the bonsai and…Hello Kitty! But the latest offering; Tsum Tsum, [deriving from the Japanese verb ‘Tsumu’, meaning ‘to stack’] fuses miniaturisation with one of the most cherished brands in the world; Disney! If you are familiar with Shopkins or the LEGO Minifigures, you’ll soon find that the Tsum Tsum Squishy‘s will be soaring up your collectables checklist as they are incredibly adorable and altogether addictive! There are over 50+ in total to collect (a lot less than the 140+ for Shopkins), and it’s perfectly possible to obtain the whole set without spending a fortune. 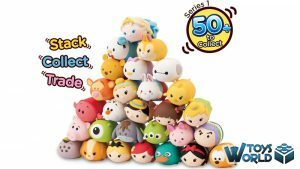 If you’re in the UK, some of the retailers like The Entertainer actually have in-store exclusives after you purchase a certain number of Tsum Tsum’s from them. There are 3 types of packs available; 2-Pack, 4-Pack & 5-Pack – each of the packs come with 1 mystery Tsum Tsum, meaning that 1 is visible in the 2-Pack, 3 are visible in the 4-Pack and 4 are visible in the 5-Pack. 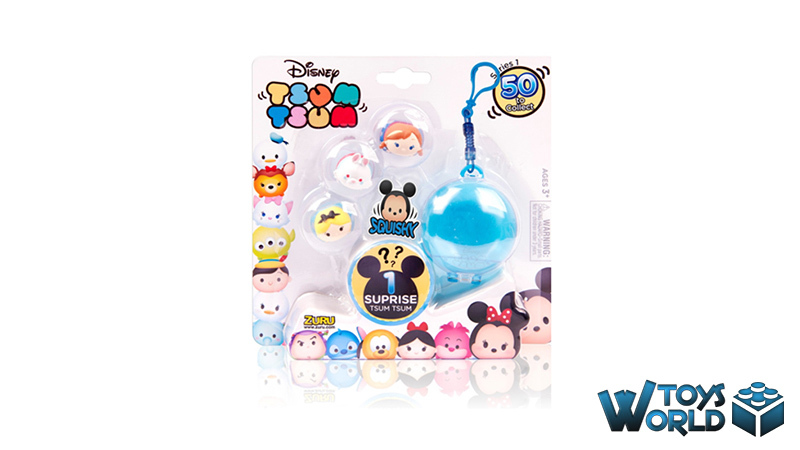 As an added bonus in the 5-Pack, you also get a bag clip carrier which can store up to 5 Tsum Tsum’s (at a squeeze). There’s also the Tsum Tsum Toy Shop Playset available, which we will be reviewing in an upcoming post. So what about the figures themselves? Well, there’s a great selection of Disney characters, from popular favourites like Mickey, Minnie, Donald, Daisy and Pluto, to some of the movie classics like Ariel, Bambi, Anna & Elsa and Pinocchio. 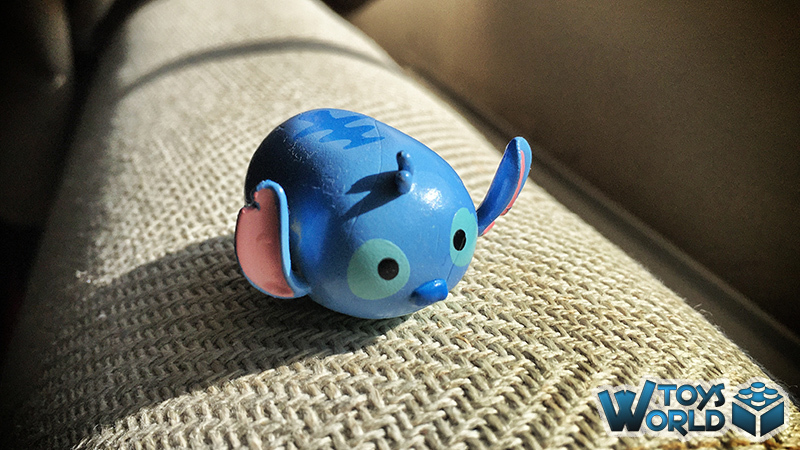 There are also some rather obscure characters like Scrump and Perry – that being said, it makes them even more collectable! The variation in figure shape also makes for great collecting; some have hats, some have ears, there are etchings and embossed features – all of which make it fun and trickier to make a big stack. (Our highest stack was 21 – let us know in the comments below what you managed). We were incredibly impressed with the range, and with rumours of Series 2 on the horizon, we urge you to get them while you can – this is one hot product that we forsee having a long shelf life. 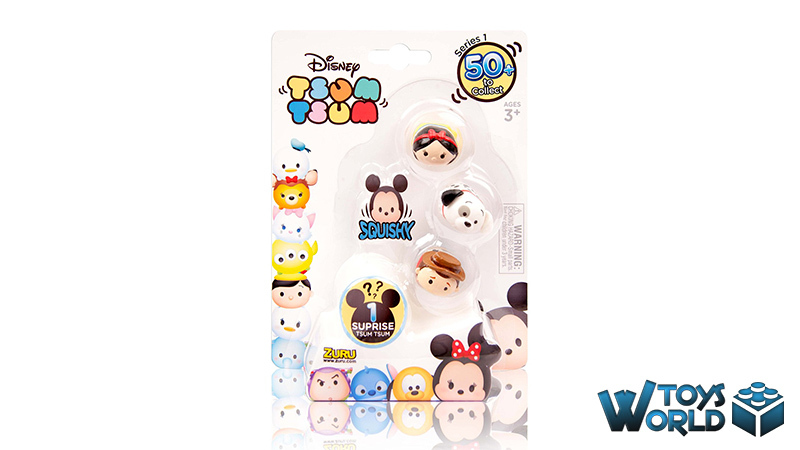 + Click Here to buy the ‘Tsum Tsum Squishy‘ packs from The Entertainer from £3.00! 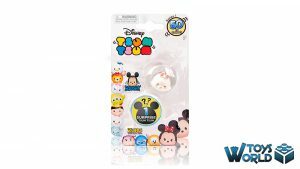 Featured, Series Collectables Collectable, Disney, Series Collectables, Tsum Tsum, Zuru. permalink.